I been asked by people if keeping my Shih Tzu with full coat doesn’t hurts the dog, that’s silly, why would that hurt the dog if it’s something in his nature right? It may if the owner doesn’t groom the dog on the daily basics and the hair gets matted them that will be causing a skin problem for the dog. 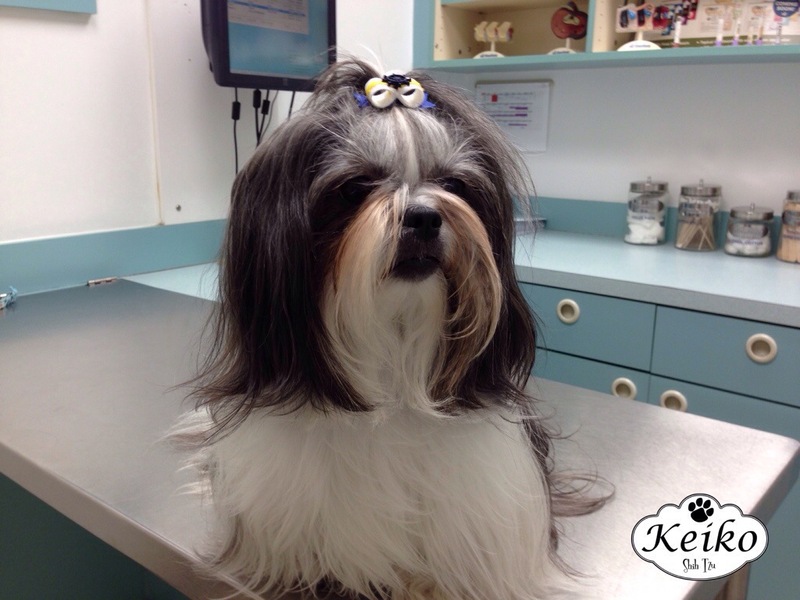 I groom Keiko every day and look through his coat to make sure there’s not matted areas, and check his skin health. 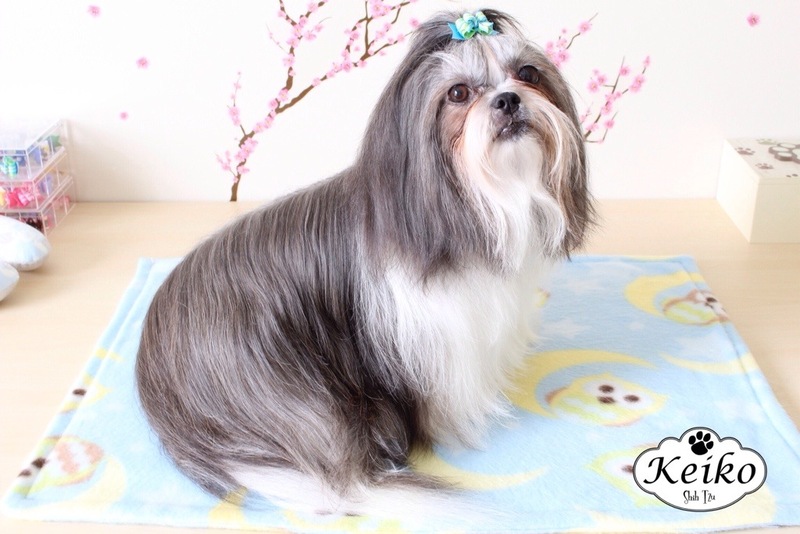 Some one also asked me why if Keiko is a boy he it’s wearing bows, that’s because this person doesn’t know anything about long hair Shih Tzu’s and wearing bows isn’t a gentler think is more like a ancient way to identified the breed with long hair. This is more like an art on a fashion way, Keiko it’s a boy I know that and that’s the reason he always have boy team bows and boy color bows as well. He has healthy skin and hair and cutting it right now wouldn’t be fair for all my hard work to maintain his long hair, besides he it’s so used to his grooming routing since he was a puppy that cutting the hair will make him feel weird. Wow I can’t believe how long it’s been since last post. Today we went to visit the vet just for regular check up and pro hearth vaccine, very important not to miss a single one.